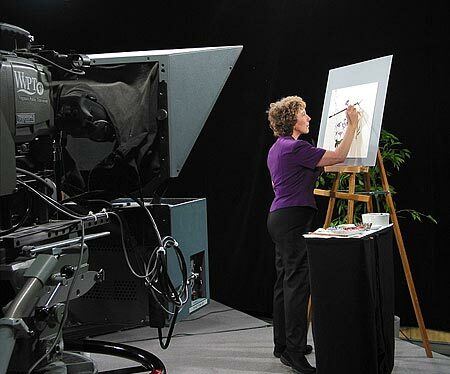 Over the past thirty years, Virginia has made many appearances on television in Britain, China and the U.S., including ITV, BBC-TV, Beijing National TV, Jiang Yin TV, Zhang Jia Jie TV; NBC-TV News NYC; CBS-TV interview and demonstration with Joy Philbin, FOX-TV Morning News interview & demonstration, NYC. 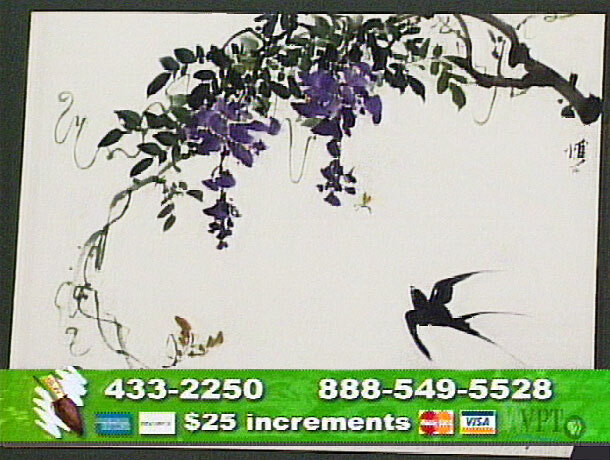 The artist was also featured painting in a Jay Leno TV commercial. 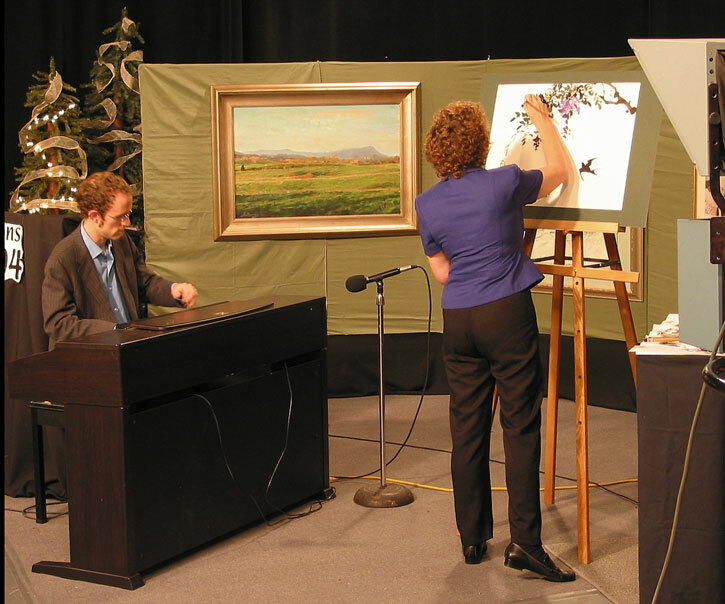 For 7 years Virginia painted live in front of the cameras for PBS TV in the U.S.
With performing partner Josh Harvey improvising on keyboard, Virginia painted to his music and created an original painting in about 12 minutes in front of the cameras. 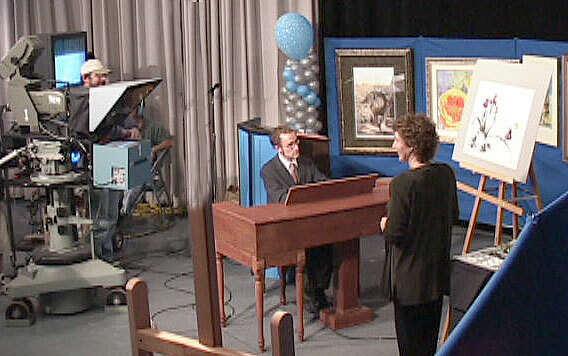 The painting was then auctioned off "live" in about three minutes. 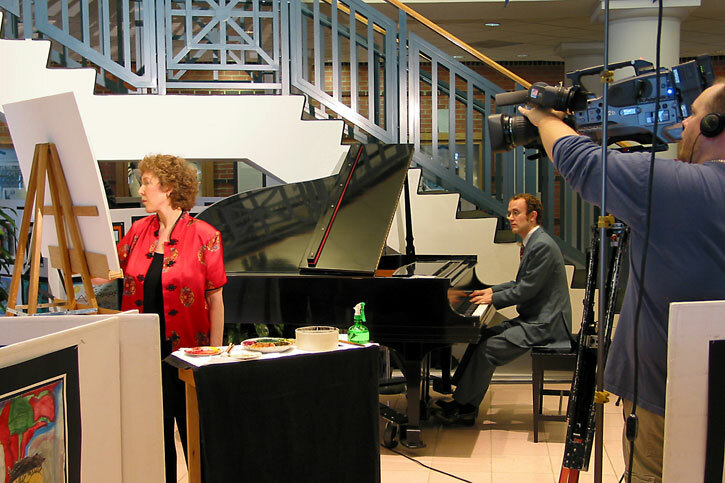 Over the years, these performances raised several thousand dollars to benefit PBS programming. 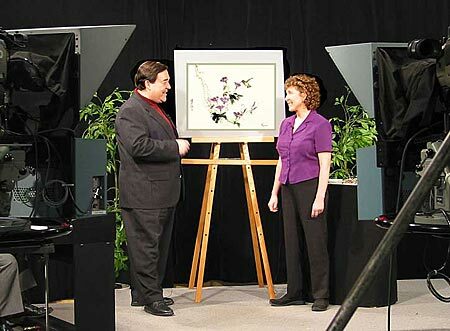 Josh and Virginia created a series of flower and bird paintings to raise money for WVPT Television. 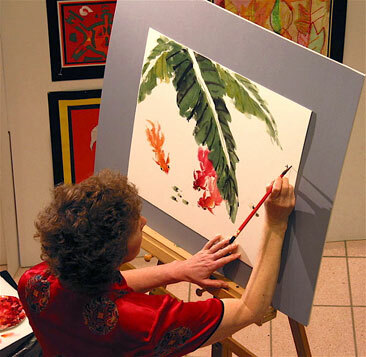 "Life seems to grow from your fingertips and brush: blossoms, birds, leaves, even thorns on roses and butterflies and whimsical bees, all emerging from graceful, confident strokes and the roll of your wrist, transferring ink to paper. First come seemingly random blobs, as it were, and then disconnected lines, only to take on unmistakable shapes and dimensions and finally vibrant images of things living and beautiful. I found your work, so swift and deft and confident, to be a metaphor for God's creative acts."